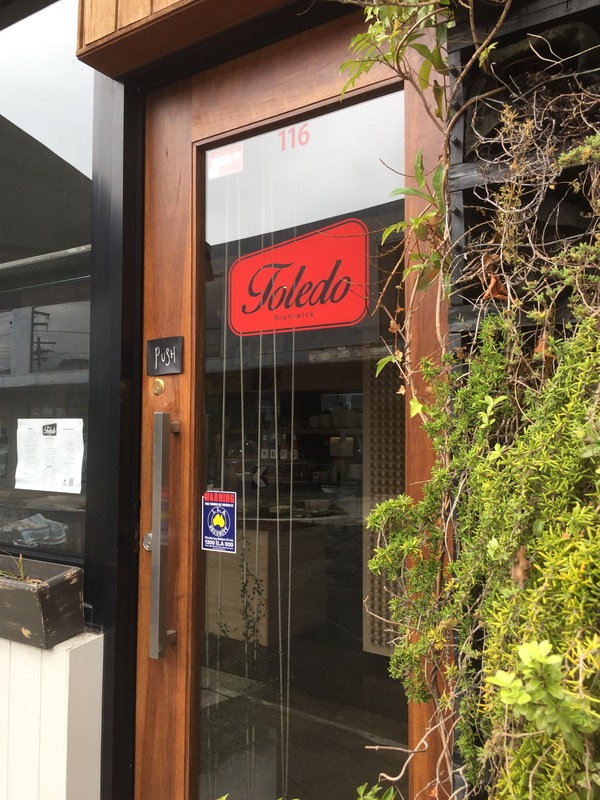 Toledo is a small but pleasant eatery, just off Lygon and nestled into to a newer building on Albert Street. After stumbling across it in our Brunswick wanderings we decided to return for a weekend breakfast. It was relatively quiet when we arrived but the staff were quick to greet us. We found a table near the window and placed coffee orders before taking in the menu. It’s on the smaller side but we were able to find things to get excited about and placed our order. Toledo has a bit of an old school Italian feel about it, and is surprisingly sheltered given its proximity to Lygon street. They do a nice brew with the Wide Open Road, Blathysphere blend. 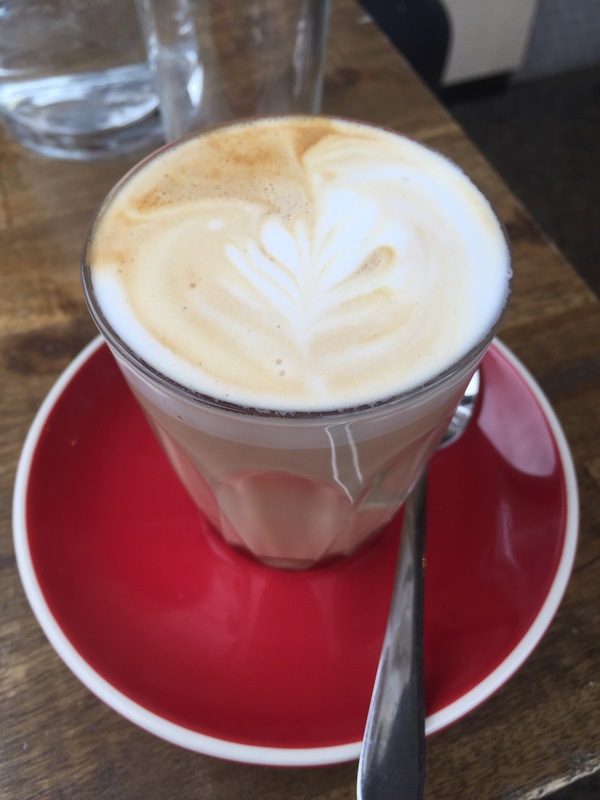 You’ll tend to find most cafes in the Brunswick area are using a Wide Open Road or Padre roast. Both brews are excellent as long as they’re treated right. We went for second coffees and were once again impressed by the flavour, but also that they came out fast; just before our meals arrived. 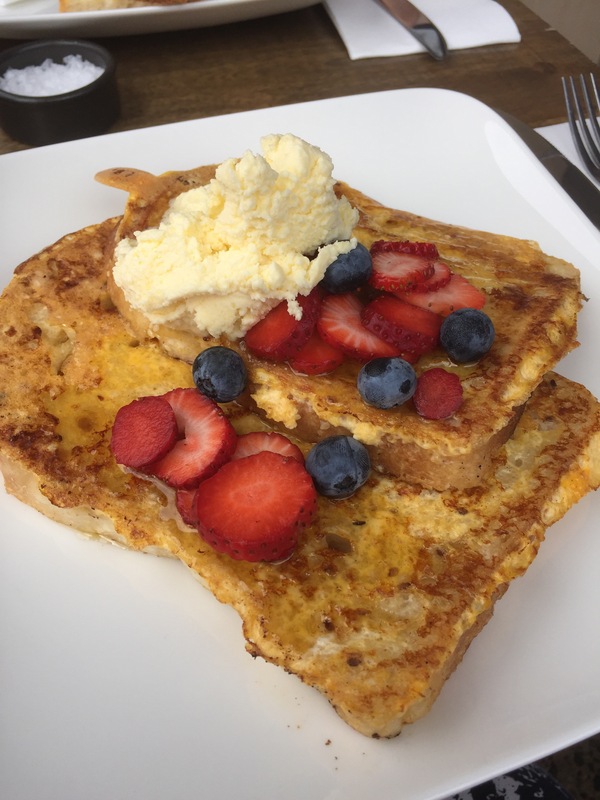 Our first selection was the French toast, served with berry and lemon mascarpone. The serving size was hugely generous, with two hulking pieces of toast that dwarfed the berries sitting on top. We found the toast to be a little soggy but with a lovely flavour; slightly sweet and no egginess. The lemon mascarpone was deliciously sharp and tangy, conplemented by the bright and sweet fresh blueberries and strawberries. This was a simple but tasty dish, both generous and warming to the soul. We also tried the chorizo baked eggs, it was a hearty and rich breakfast with a touch of warmth. 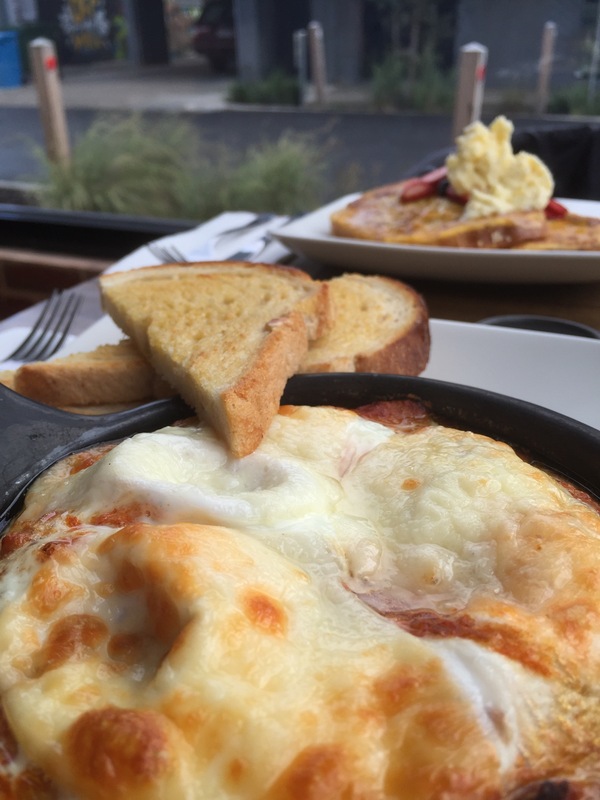 We frequently choose baked eggs for breakfast and we were pleasantly surprised by Toledo’s offering. It was one of the better baked eggs we’ve had, very impressive given they came from a little cafe on a side street. Toledo are refreshing for their simple, but delicious meals. 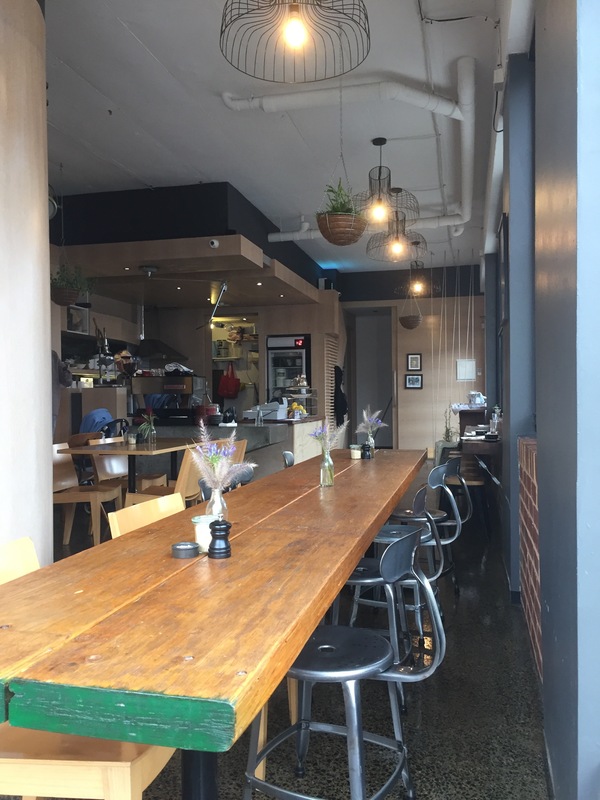 It’s hard to know where to go in a suburb as rich in breakfast options as Brusnwick East is but Toledo should not be overlooked!